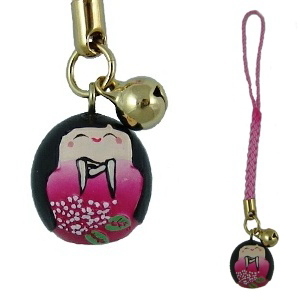 Miniature kokeshi doll wearing pink kimono with hydrangea flower pattern, ideal for use as a key ring attachment or mobile phone strap. There will be variations in colour and pattern between the doll shown in the picture and the doll you receive. Made in Japan.